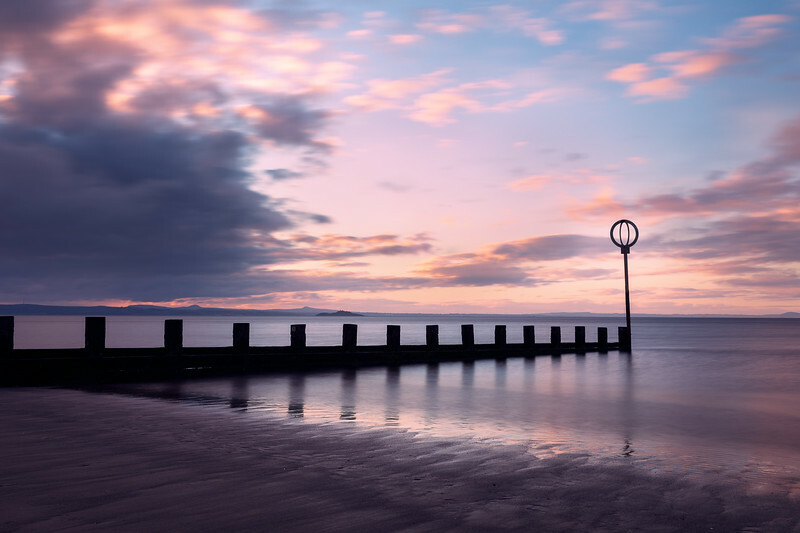 A calm evening in June, sunset overlooking Portobello Beach with storm clouds in the distance. Portobello Beach, also known as Edinburgh's Seaside. A lovely strip of sand on the edge of town that is worth a visit.